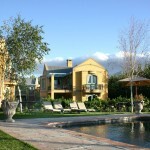 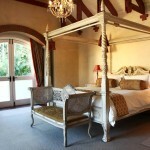 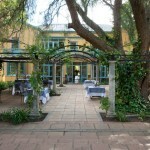 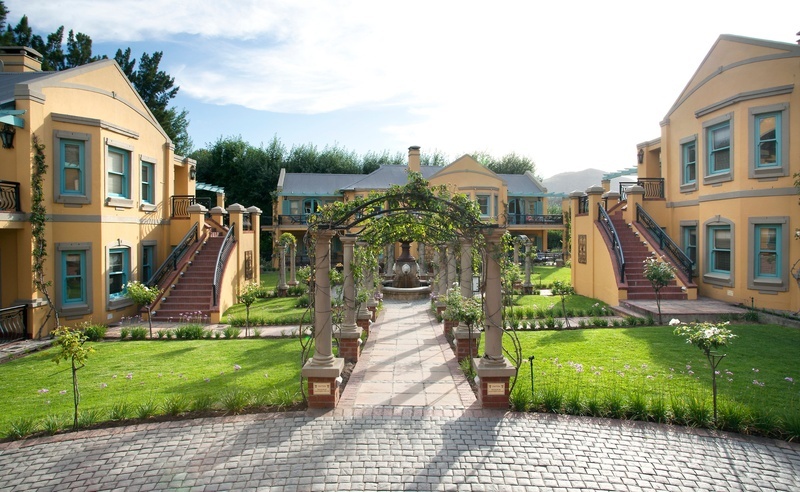 This is a small country hotel on the edge of Franschhoek. 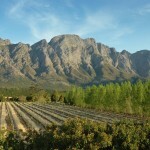 Note that you need to drive to the village centre. The grounds are beautifully landscaped and overlook the mountains and vineyards, which are such a feature of the Franschhoek valley. 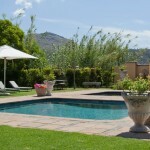 The accommodation is very comfortable and decorated in a typically Cape style and some have private stoeps and balconies. 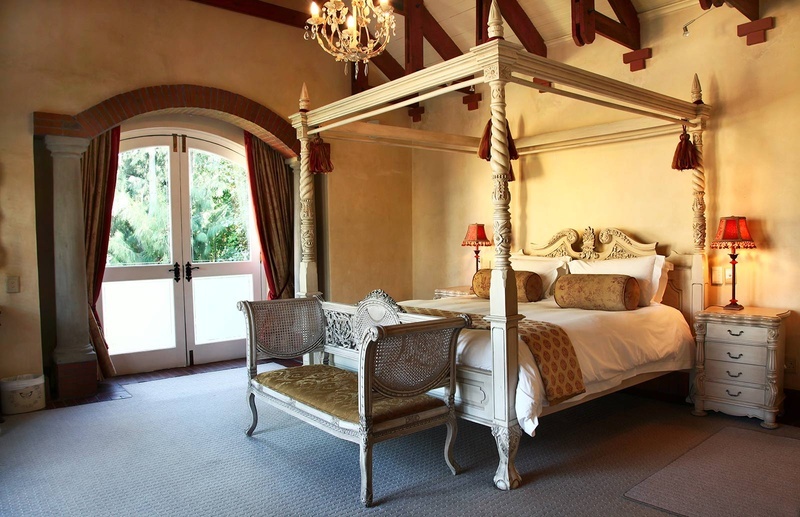 The hotel has 25 bedrooms including 12 villa suites, which offer the ultimate in luxury and space and the peace, and tranquility of the surroundings is complemented by fine modern cuisine in the rated restaurant, which, in summer is served on the terrace overlooking the gardens. 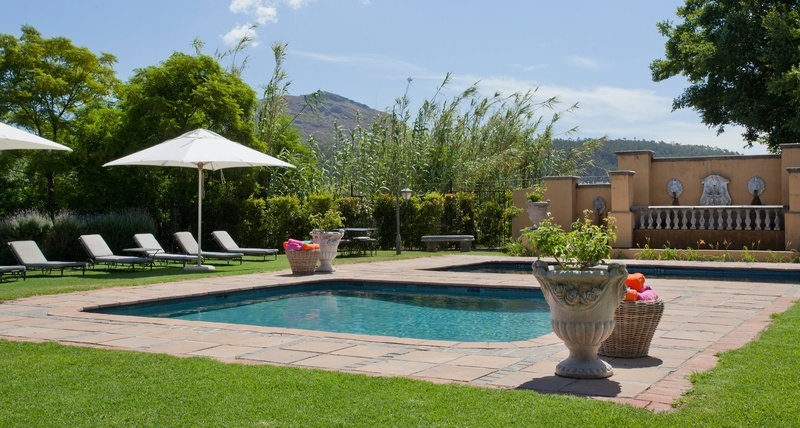 There is a swimming pool with wonderful views of the surrounding mountains. 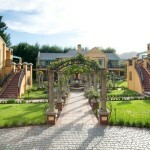 Here you are situated among some of the finest wineries anywhere in the world. 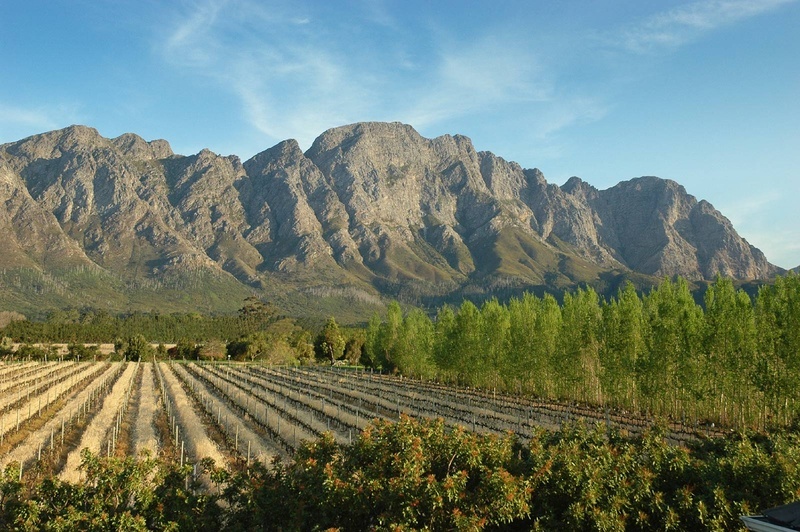 From the hotel you can join the Franschhoek Wine Tram which offers a unique way to see some great wineries and sample their products without driving! 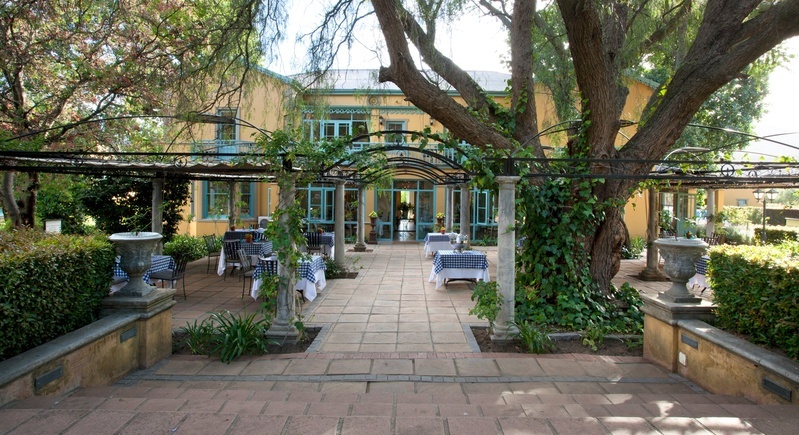 Franschhoek has many fine restaurants and such is the popularity of this area, you will need to book some of the restaurants well in advance at the busiest times of the year – especially over Christmas and New Year.